The Home of American Golf is in North Carolina. Here's our guide. “Pinehurst absolutely was the pioneer in American golf — it was right here in the Sandhills that the first great national movement was started.” So said the famous course architect Donald Ross, proving that nowhere in America do the words “revolutionary” and “golf” intertwine as they do in the Pinehurst, Southern Pines, Aberdeen Area of North Carolina. Two hours east of Charlotte and 90 minutes from Raleigh-Durham and Greensboro, this region in the south-central part of the state is where it all began. And now with plenty of hotels, inns, and resorts offering affordable golf packages, it’s easier to play golf here than ever before. What follows is a rundown of the area’s courses, along with resources for putting together an awesome (and awesomely affordable) trip. Pine Needles was designed in 1927 by Donald Ross and is truly a top-notch course — it’s ranked #2 in the area and has hosted the U.S. Women’s Open three times. Being a Ross course, the greens are challenging with false fronts, crowns, and undulations. Play to the middle is the advice here. Mid Pines is a beautiful Donald Ross design from 1921, and the course is today as it was then. It’s not as challenging as Pine Needles, but Ross intended it to be a fun course for all players — great par-3s and greens that require accuracy from the fairway. Most look forward to the 18th, a difficult uphill par-4 with the stately Mid Pines Inn in the background. The packages: Pine Needles and Mid Pines have unlimited golf, accommodations, and daily breakfast. The simplest packages start at just over $100/night through February, 2018. Mid South is an Arnold Palmer course that has what Talamore mostly does not: water. But it shares new Champion Bermuda greens and great playability — the signature hole is the 14th (with its vast waste bunkers), but my favorites are 6, 16, and 18 (water and rock walls guarding the greens). 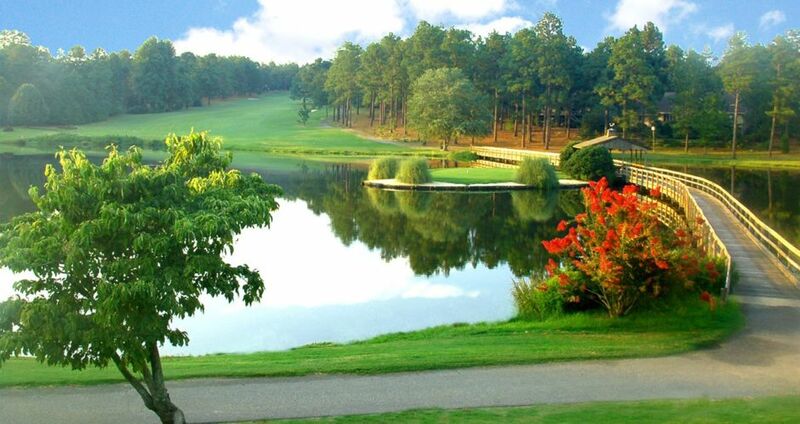 The packages: The packages at Talamore Golf Resort rival other Pinehurst resort offerings. Through February, 2018, get two nights/three rounds in a Talamore villa for under $300. Play Mid South for a similar, more budget-friendly package at the Hampton Inn. 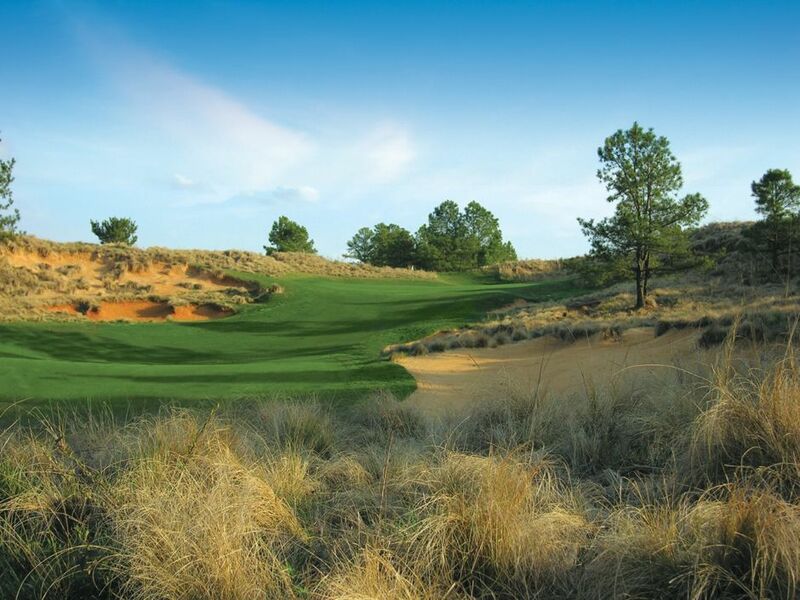 Tobacco Road is a Mike Strantz design ranked #50 in the world by Golf Course Architect. Built on a former sand quarry, it’s one of the most visually daunting courses you’ll come across. Vast waste areas, big mounds covered in native wiregrass, blind shots, and hidden pin placements make this one of the wildest anywhere. If you want to experience something completely different, get on Tobacco Road. Legacy Golf Links also rakes in the superlatives. It was designed by Jack Nicklaus II, and he did a superb job. If you’re a shotmaker, you’ll like the tight fairways and fast greens. The course isn’t heavily bunkered, the finishing holes are fantastic, and it’s one of the best conditioned and most affordable in the area. Southern Pines is another Donald Ross design, dating back to 1910. The course plays from 5,300 to 6,200 yards with a par of 71, but don’t let the distance fool you — the scoring will be difficult. The fairways have rolls and slopes, and the greens are typical Ross. Here you’ll be able to practice bump and run shots and sharpen your short game. What’s more, the green fees are very affordable — this may be the best introduction to a Donald Ross course you can get. The packages: Tobacco Road’s winter special has three rounds/two nights for just over $200 per night through February, 2018 (this includes Southern Pines). Legacy’s winter special (also including Southern Pines) is two rounds/one night for $125/player. 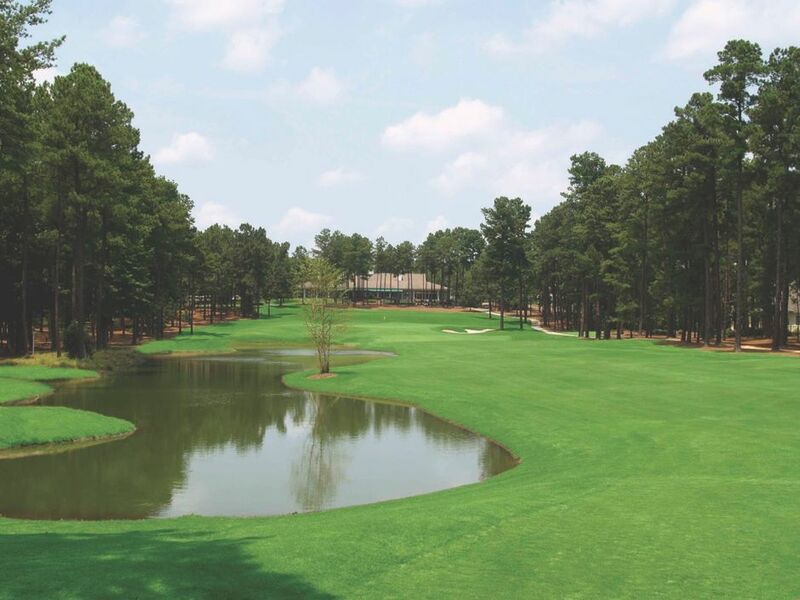 Pinewild Country Club features 48 holes of golf, and that’s not a typo — there’s two championship courses, a great nine-hole par-3 layout, and three practice holes (part of their excellent practice facility). Both courses here have hosted numerous USGA qualifying and Carolina PGA events. The Magnolia Course is the original, opened in 1989 as one of Gene Hamm’s finest designs and ranked in the Southeast’s top 50. Magnolia plays from 5,100 yards to an incredible 7,440 — when you’re on the first tee and want to find out if you’re warmed up, play this one from the tips at 624 yards. The packages: Pinewild’s golf academy is 20% off through February, 2018, and your fourth member is free. If you love golf, good food, and good beer, 7 Lakes is the best deal in the Pinehurst area. Every round comes with a complimentary lunch and two of whatever’s on draft. With ultra-reasonable green fees, it’d be natural to assume the course would be lower-tier, but 7 Lakes receives a four-star rating from Golf Digest. Gene Hamm’s Beacon Ridge is also part of the 7 Lakes community, and it’s one of the most scenic, playable courses in the area. With five sets of tees ranging from 3,800 to 6,400 yards, most every golfer can find his or her comfort zone here. Beacon Ridge also received the Golf Digest four-star rating — it’s a true test of traditional Sandhill golf. Hyland Golf Club is popular for another reason: high elevation. Designed by Tom Jackson (one of my personal favorites), you know you’re in for a fair round of golf. Though it may not steal the spotlight, the very affordable rates and playable layout make it a good choice for a warmup to the tougher courses in the area. The packages: Three rounds/two nights for under $200 per player with standard accomodations — for $20 more, upgrade to a four-person condo at the Village of Pinehurst. 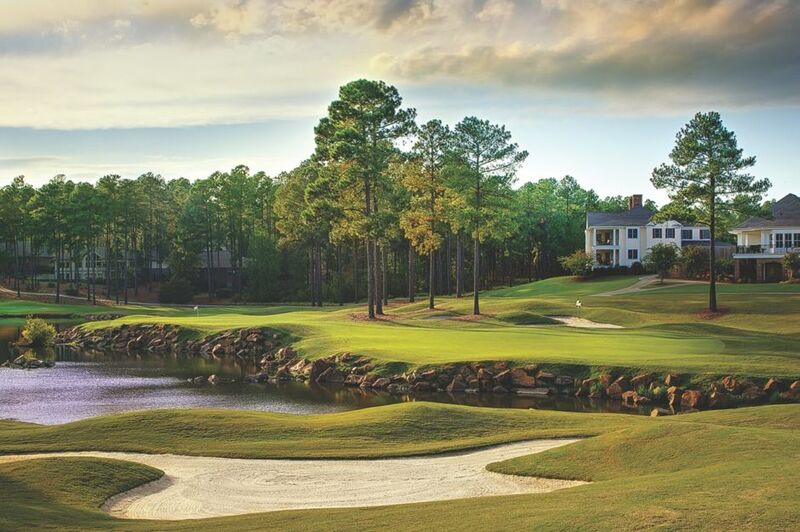 Whispering Pines and Foxfire Country Clubs are a two-club concept, with membership covering all 72 holes. Just a few minutes from the village of Pinehurst, both are owned by the same company, giving resort guests privilege at all four courses. 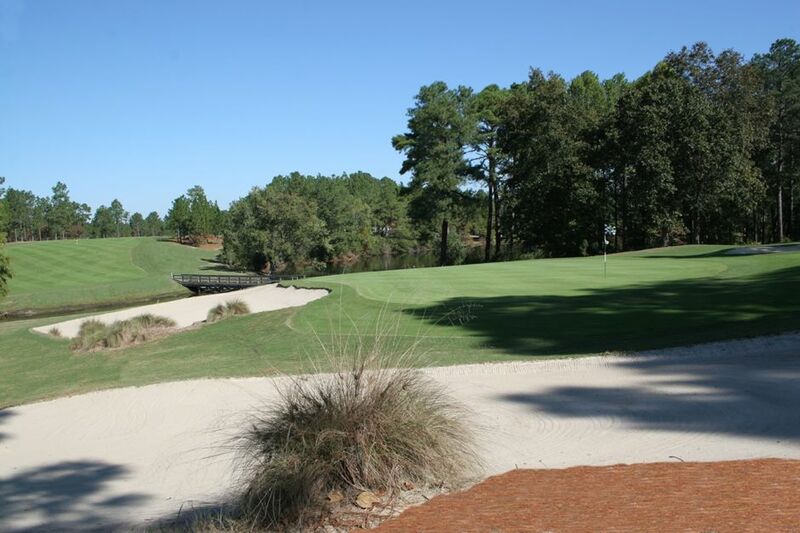 The Pines Course (at Whispering Pines) is long and open, with large Champion Bermuda greens. The rough is the open, hardpan type reminiscent of Donald Ross. On this course, you’ll use every club in your bag. Whispering Pine’s River Course is shorter, coming in at 6,500 yards from the back tees (this is more of a shotmaker’s course). Though both are designed by Ellis Maples, the River Course has small bent grass greens, bringing real variety. Foxfire’s Grey Fox course (another Gene Hamm) is a challenging layout with many hills and doglegs. Holes 1, 9, 12, and 13 require accurate tee shots to set up approaches to small greens, some of which are multi-tiered. The Red Fox course is more player-friendly, with wide fairways and large greens. However, there are six ponds, deep bunkers, and enough dropoffs to keep the best players focused on their game. All four courses here are becoming more popular with locals and visitors, largely because of their good design, variety, and affordable prices. The packages: One night’s lodging and unlimited golf for $89 per player. 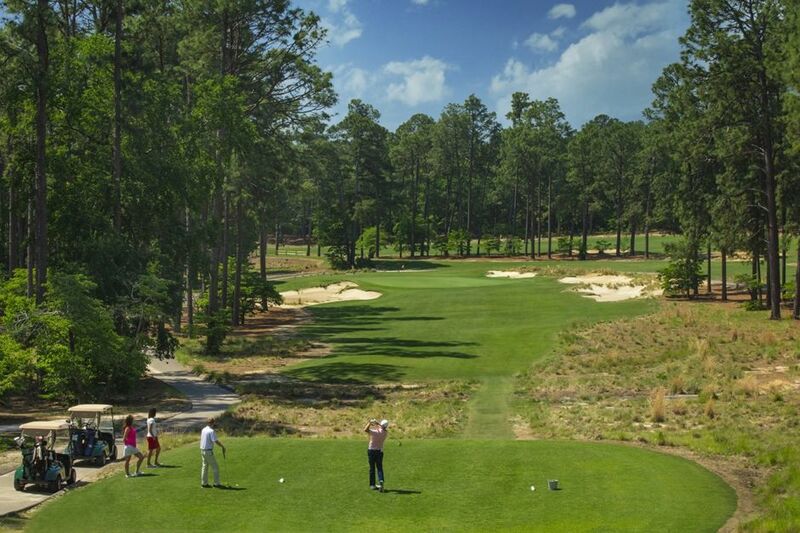 Bobby Jones summed it up best: “Pinehurst is the St. Andrews of American golf.” There are nine great 18-hole courses and one 9-hole course at the Pinehurst Resort, but three you might want to keep an eye out for are The Cradle, No. 8, and No. 2. The Cradle is nine holes aimed at those new to the game — truly everyone can play here — while No. 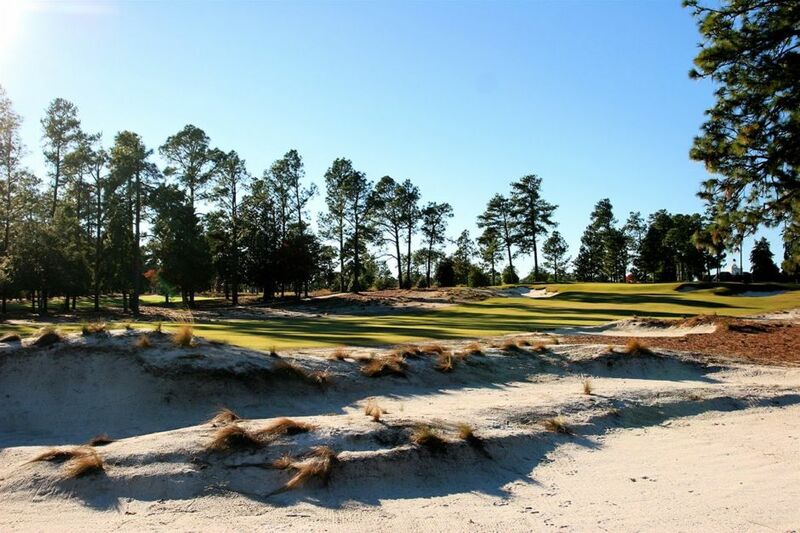 8 is a Tom Fazio course said to blend all the elements of the Pinehurst courses into one layout. It’s a beautiful course to look at — and play — but still manages to be very challenging. The big’un, though, is No. 2. The U.S. Open was held here in 1999, 2005, and 2014 (the U.S. Women’s Open was hosted the following week), and will return in 2024. Over the years the PGA, Ryder Cup, and U.S. Senior and Amateur Opens have taken place at Pinehurst No. 2 as well. The course is best played by golfers with a single-digit handicap, but it’s open to anyone who wants to find out how good — or otherwise — they really are. You’ll need accuracy with all your clubs. And to enjoy it most? A caddie. The package: Pinehurst’s winter Bed & Breakfast Golf Package is the most popular — resort accommodations, one round of golf per night stayed, and an overflowing breakfast buffet, available through March, 2018. This post is proudly produced in partnership with the Pinehurst, Southern Pines, Aberdeen Area CVB.